[S182] Social Security Death Index (on-line), Ancestry.com, SSDI, Ancestry.com, SSAN 062-12-1591. [S732] Renee Van Valkenburgh, "Shirley Leslie Holcomb," e-mail to James H. Holcombe, 19 May 2011. Jabez Elwell was born in 1728 at Westport, Fairfield Co., CT. He was the son of Samuel Elwell. [S25] Hannah McPherson, Holcombe Genealogy, page 86.2. 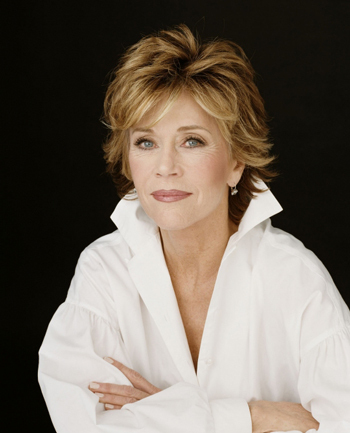 Jane Seymour Fonda was born on 21 December 1937 at New York City, NY. She was the daughter of Henry Jaynes Fonda and Frances Ford Seymour. [S734] William Addams Reitwiesner, Catherine Middleton, page 5. Josiah Goodrich was born on 17 May 1806. He was the son of Hezekiah Goodrich and Millicent Holcombe. Josiah Goodrich married Harriet E. Sheldon on 27 June 1830. Josiah Goodrich died on 30 October 1846 at age 40. Harriet was enumerated in the 1850 Granby, Hartford Co. CT, federal census. Children in the household were LeRoy 18, and Georganna 14. Enumerated next door was Hezekiah, and further was Hezekiah Jr.
Samuel Bradstreet was born circa 1632 at Boston, Suffolk Co., MA. He was the son of Gov. Simon Bradstreet and Anne Dudley. Simon Bradstreet was born on 28 September 1640 at Andover, Essex Co., MA. He was the son of Gov. Simon Bradstreet and Anne Dudley. Dudley Bradstreet was born in 1648 at Andover, Essex Co., MA. He was the son of Gov. Simon Bradstreet and Anne Dudley. John Bradstreet was born on 22 July 1652 at Andover, Essex Co., MA. He was the son of Gov. Simon Bradstreet and Anne Dudley. [S370] The Strong Family Association of America Strong Update Vol 1, page 525. [S618] Gary Boyd Roberts, Royal Descents, page 551. Child of Mary Hoyt Strong and William Affleck Jr.
Child of Nancy Louise Byers and Myron Hopkins Strong Affleck Jr.
Jennifer Anne Garner was born on 17 April 1972. She married Benjamin Gage Affleck, son of Timothy Byers Affleck and Christine Anne Boldt, on 29 June 2005. Many early traditions hold that this child was Peter of Windsor. However, a recent analysis by Donald Lines Jacobus, TAG 33:4 pages 214-222 shows that his is highly unlikely. Lucy Macomber was born on 9 November 1828 at Gallia Co., OH. She married Jordan Ewing, son of William Ewing Jr. and Sarah Mannering, circa 1845. Lucy Macomber died on 25 August 1873 at Gallia Co., OH, at age 44. She was buried at Ewington Cemetery, Huntington Twp., Gallia Co., OH. Leroy Goodrich was born on 15 April 1832. He was the son of Josiah Goodrich and Harriet E. Sheldon.